The Life Line Food Bank based at Hollymoor Chapel in Northfield, have issued an appeal to boost their supplies over the Bank Holiday weekend. 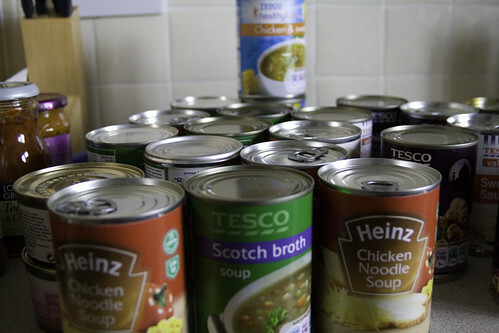 Pastor Stephen Merrick set the challenge yesterday morning to gather 262 extra cans of food over the bank holiday. And they are already well on their way, with 160 cans already donated or pledged, with just 102 to go! So please, donate a can – if you can! Thank you so much for the donations so far.. Thank you everyone for your generosity we really are grateful. It is shocking that in the 21st century appeals like this one are necessary but sadly they are. However the kindness and sense of community in Northfield is truly inspiring. I know with your help we can beat this target thank you again.